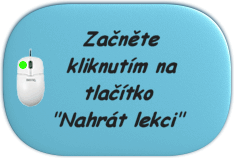 Hledáte zhubnout = lose weight? Použití pojmu lose weight ve větách. Rapidní nárůst nových případů syfilis byl zaznamenán v San Franciscu a Los Angeles. He was very soon lost, somewhere between the playing field and the trees. Velké škody se vyskytly v údolí San Fernando a v oblasti Los Angeles. He seemed to lose his way somewhere a kind of puzzlement gagged him. Ležel na zasněženém svahu vedle zakrvácených zbytků losa. Judd shook his head his face was slack and his look lost. Jsem Wulfgar, syn Beornegara, válečníka z kmene Losa. Popolac walked, the hum of its voice lost in the night. They were lost along the highway, their malice dammed. It failed to support her weight, and gave inward. The train lurched, and Kaufman lost his balance. It nodded, affecting the look of a lost child. The realization that you are about to lose. He was as lost in his ecstasy as she was. To lose patience is to lose the battle. Losovalo se, kdo má ten čin vykonat. He pondered the extensive blood loss. We did lose face in the Rahman case. Mick was losing the chase rapidly. Podobala se slisovanému lososovi. No need to lose your temper, sir. Mission LostWrld OD Udelej fotku. For a moment she was at a loss. Somehow he had lost his focus. He mustn t lose his nerve now. Mission LostWrld OD Predstav. Galloway was lost for words. Starý bitevní křik Losů. Salander was at a loss. He weighed his chances.